We’ve also compiled a list of Useful Links to help you plan your stay in the Eternal City. Here you will find information about how to navigate your way around, eat out, party and take in the most famous sites all on a budget. 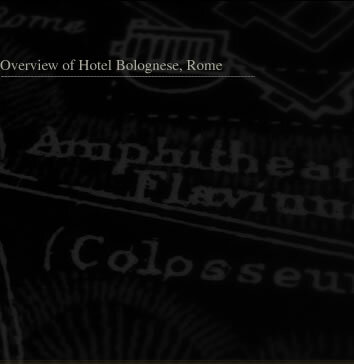 Welcome to the 2 star Hotel Bolognese Rome Useful Links page for Rome. Here we have provided a list of sites for exploring Rome, eating out, getting around and entertainment – all on a budget. We have also included a list of some of our budget partner hotels in Florence, Venice, Milan and the beautiful island of Sicily. Guide to the events happening in Rome. Tours of Rome in English. Find cheap flights in and out of Rome. Official train site of Italy. Pre book musuem tickets and avoid the queues. www.pensioneferretti.com – This 2 star hotel enjoys a superb central location and is only minutes from the major attractions. www.residenzabelliflorence.com - One of the best budget choices in Florence. Centrally located with a warm and friendly atmosphere. www.hotelsangiovanni.com – 2 star Bed and Breakfast in the heart of the city centre offering great budget accommodation. www.florencehotelsdirect.com – Choose from a wide variety of budget accommodation with outstanding savings when booking directly with us. www.hotelfiorellamilan.com – 2 star modern and spacious accommodation located in the west of Milan. www.hotelsempionemilan.com - Situated in the heart of Milan this 3 star hotel is close to all the historical and cultural interests in Milan. www.milanhotelsdirect.com - Portal site offering a wide range of accommodation to choose from at fabulous prices. www.residenzalagunavenice.com – Cosy 1 star hotel centrally located, beautifully designed and elegantly furnished. www.locandafioritahotel.com – Divided into 3 structures, there is something for everyone at this top quality yet budget accommodation. www.venicehotelsdirect.com – Find you budget accommodation right here in this enchanting floating city at unbelievable prices. www.hotellavillecatania.com – 3 star luxury budget accommodation in the amazing city of Catania on the east coast of Sicily. www.hotelagathaecatania.com – Comfortable 3 star centrally located hotel offers a warm and friendly atmosphere. www.sicilyhotelsdirect.com/taormina/hotel-jonic - 3 star accommodation overlooking the beautiful Mazzaró Bay in the gorgeous city of Taormina. www.sicilyhotelsdirect.com – Go to our new portal site and check out all the bargains on the beautiful island of Sicily.